WineLovers Discussion Group • View topic - Recommendations for Good Wine Books Wanted. Recommendations for Good Wine Books Wanted. Last edited by Bob Ross on Tue Jul 29, 2008 9:56 am, edited 1 time in total. Re: Recommendations for Good Wine Books Wanted. Sounds terrific there Bob. Will certainly try to play a role as time permits!! I'm responding a bit quick because I'm excited. Thomas Pellechia's "Wine: The 8,000 Year-Old Story of the Wine Trade". The book came to work on Thursday and I glanced at it on a 10 minute break, I was late comming back to work (I got lost in the book). My plate is very full right now but I'm excited to get this book read cover to cover sometime in the next couple of weeks and can post a real review then. From the few pages I've read, I feel it belongs in the WLDG library site. Thanks, Ed. I've ordered a copy -- one of those things on my to do list that got overlooked. It's added to the list without any rating or Review for the time being. Let me know what you think of it. IMHO, Karen MacNeil does a very thorough job of discussing the various properties of wine making and tasting. She does a great service to wine by taking away the pretentiousness and speaking directly and without an attitude to the reader. Along with a description of each winery and their various offerings, a map is included with each wine region she covers throughout the world. Additionally, MacNeil helps the reader pair wine with food and discusses wine from reds to whites to port and all points in between. It is refreshingly honest and it is a very readable book. The book can be had for under $15 bucks online @ Amazon, your local book seller and at many wineries in California. Last edited by TimMc on Tue Jul 25, 2006 2:51 pm, edited 1 time in total. If there's a wine book out there that you haven't mentioned on Library Thing, I sure can't come up with it based solely on my brief glance at the 5 pages currently listed. I especially love the Nicolas Belfrage books on Italian wines. I personally find them the best books on Italian wines I've seen to date. I would add some or all of the following. 23 Saint James' Street: "
Last edited by Thomas on Sun Jul 23, 2006 2:09 pm, edited 1 time in total. Rob, nice list! Very thorough. I would have hoped however to see Halliday & Johnson's The Art and Science of Wine. Also I seem to have missed Julian Jeffs's nice book, Sherry and Peppercorn's Bordeaux. I believe both are very respected works. Also I'm surprised that we have some of the same books, but I don't see your books in my lists!!! We both have Johnson's A Life Uncorked and Broadbent's Vintage Book but according to the "social info" column, I am the only one with these books Any idea why? It's a great site, btw. I don't have many wine books entered there, but here is what I've so far entered. Carl, thanks for the feedback on Belfrage. I've debated who my favorite Italian wine writer is for a number of years. Any views are very much appreciated. Thanks, Thomas. Lots of great suggestions. I have a couple of the books on your list, but only listed a portion of my library for fear that I might discourage other contributors. If you have the time, it would be great if you could add a couple of lines about any (or all) of the books so that I could put them into the Review box so readers understand why we think the books important. Many thanks for the suggestions, Otto. I'm not sure why the discrepancy in holdings -- must be a generic bug -- when I look at the Social List for otton it shows he and I share Johnson's "World Atlas" and Asher's "Vineyard Tales". My Profile doesn't list otton as sharing any books with me. If I go to Broadbent, my entry shows that I share the book with languagehat but with no one else. I will say that the Broadbent books are a bit confusing from a bibliographic point of view. I put together a systematic analysis of the various editions a few years ago, and if the project gains legs, I'll add some of those other editions to the Review section. PS: I did a bit more research, Otto, and think I understand what the problem may be. You haven't chosen an edition in your Broadbent entry. If you enter an ISBN -- 0679405062 for example -- I think the system will kick up the fact that you share the book with me. 0679405062 is the ISBN for my edition -- your's may be different, but I'm pretty sure if you enter the ISBN for your edition, the system will "realize" the books are similar enough to be "shared". Only a theory -- maybe Patchen will chime in and set us straight. In the meantime, please add ISBNs and we'll see if that fixes the problem. Incidentally, I see you don't have an ISBN for Johnson "Uncorked" either. This is a very interesting idea. Thanks for getting this started, and for priming it was an exceptionally rich list of books. I just received a copy of Extremely Pale Rose' as a gift, and really enjoyed the first few chapters. I saw your posting about this recently and forwarded it to some friends and family; hence the gift from one of my family members. I'm also almost halfway through Renaissance Guide to Wine & Food Pairing, by Tony DiDio & Amy Zavatto. I like the way they explain why certain aspects of wine and food pairings work so well. They also devote individual chapters to discussions with noteworthy chefs, winemakers and sommeliers. Last edited by ClarkDGigHbr on Sun Jul 23, 2006 9:18 pm, edited 1 time in total. Thanks for the suggestion, Tim. I've had that book in my hands a dozen times -- once for 15 minutes over a tea at Barnes and Noble -- and just don't cotton to it. For starters, it's so thick that it's tough to use with paper covers, and the entries are so simple, that I came away from almost every entry wanting to know more. All wine reference books are a matter of taste -- some folks like the little Johnson, others prefer the little Clarke -- and once you are used to a reference, others seem lacking somehow. Thanks, Clark -- I'll look up the Renaissance volume you suggest. Some awfully tough competition in the food and wine matching arena -- the Rosengarten volume Thomas suggested is awfully good. Here are my thoughts on them. A wonderful resource for the ancient wine and mythology connection. Comprehensive, clear, and easy reading plus authoritative. Allen's writing is contemplative. A great perspective on the British wine sensibility. The second book tells the story of the great Berry Bros. wine shop. 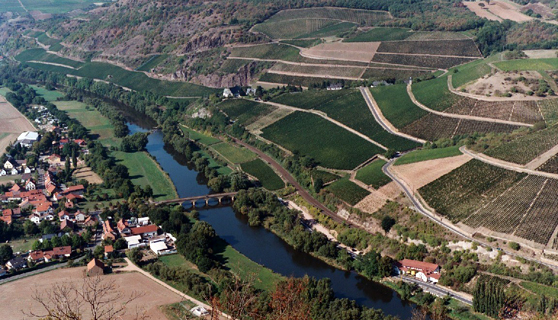 It's dated, but it is a good view of the German wine regions. Not wine, but wine is the base for the drink and for the book, and the book is comprehensive and fun. All three give solid information about the regions, their methods and some of their idiosyncratic ways. He was in his day a good resource for Italian wines--dated but interesting depth of information. Just the region alone is enough to make me want to read the book, and it should be enough for anyone else interested in the whole wine world. Fabulous insight into Egyptian wine history. These two books are great sources of intricate details about European (French and Italian, mainly) wine history. Nothing beats this one for an archeological perspective on the ancient wine industries. All about phylloxera: its many devastations and the many stupid things that government and wine producers can do. One of the best books for wine and food pairing ever published. Approachable, fun and insightful. A light book that carries a heavy load of information about wine and Christianity. Filled with information about the wine trade--geared toward academia so the reading is deep, but comprehensive. Great, Thomas, thanks very much. Dionysus: Edward Hyams -- it looks like there are two editions, the second edited by Jancis Robinson. Is that correct? The first from 1965 seems to be much shorter than the second from 1987, and certainly the 1987 edition is much more expensive. If you haven't already seen it, don't miss Drink and Be Merry: Wine and Beer in Ancient Times, by Michael Dayagi-Mendels in the collection. A wonderful exhibit, and the catalog captured the exhibit beautifully. I love Opbikon -- I think I'll use his name (and photo) as the "owner" of the collection. I have the 1987 edition of Dionysus. Thanks. Did Robinson contribute? Looks like the edition to buy and review. Turns out I have the 1965 edition. I assumed it was 87 because I had bought it in 1990. But I surely have the 65 edition. Thanks, Thomas. The New York Public Library lists this as one of the essential wine books to own. Thanks for the tip -- I'll compare the two editions and see what the differences are. I'm looking forward to working my way down your list -- browsing in the stacks, virtual or otherwise, has always been one of my great joys in life. Bob Ross wrote: Thanks for the suggestion, Tim. I've had that book in my hands a dozen times -- once for 15 minutes over a tea at Barnes and Noble -- and just don't cotton to it. For starters, it's so thick that it's tough to use with paper covers, and the entries are so simple, that I came away from almost every entry wanting to know more. In any event, it turns out the Franklin Lakes library owns a copy, so I can add your suggestion to the collection without having to buy the book. My consideration on The Wine Bible was that it is a good starter for those beginners or those who just want an easy-to-read, thumbnail sketch [if you will] of wine and wine making in general. Don't give up on it...it's a pretty handy ready reference piece, IMHO. I'll certainly add Karen's book -- as you point out, it is very popular, as is Karen herself. A great presenter and holds a very prestigous job. I'm looking forward to her 13 episode public TV series this fall. The New France, Andrew Jefford. This one comes to mind but I will be back! !